This lovely flamingo is from the Pop of Paradise stamp set which is in the Pop of Pink Suite. The paper you can see is our Pop of Pink Speciality Designer Series Paper and is also in that suite - they compliment each other perfectly. The words on the card are from Endless Birthday Wishes, which I've used a few times this week. I've used Melon Mambo ink and cardstock, along with our very versatile Whisper White Cardstock. I've used Snail adhesive and Stampin' Dimensionals to put it all together. 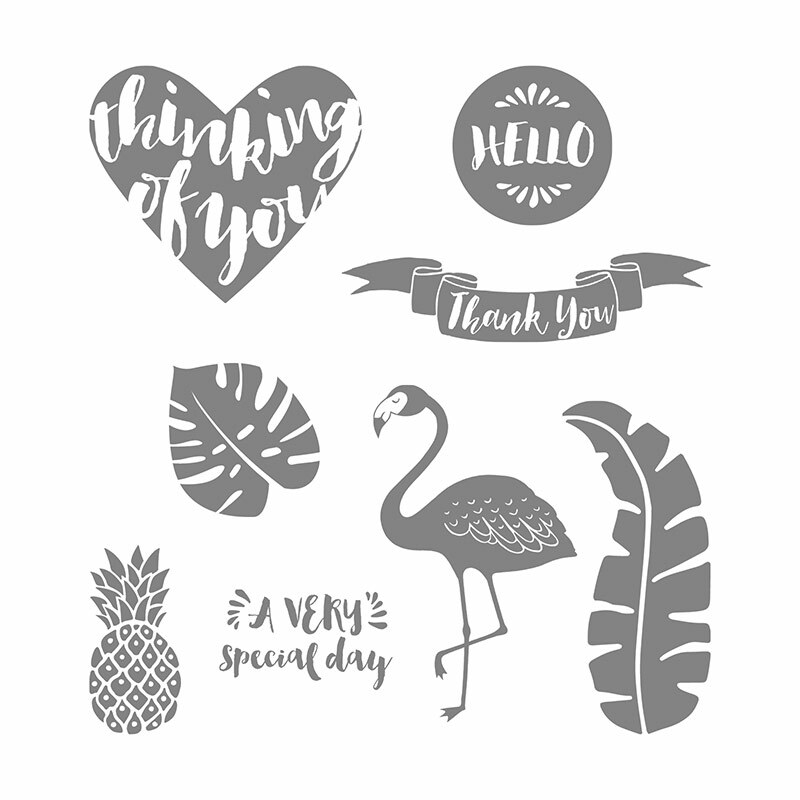 I know many of you are really into birds with your cardmaking, and Stampin' Up! do always seem to have sets with birds in to cater to those ornithologists amongst you. I recently started having an interest in birds after a wonderful trip to Sherwood Forest - we had a cabin in the woods and spent many hours watching the birds and squirrels - I think my favourite woodland bird is actually the Jay. I could sit for hours watching them. The Pop of Paradise set has other images in that you can play with, I think my favourite in the set is actually the pineapple, very summery! There are other co-ordinating products in the Pop of Pink Suite. Take a look here.